The Darke County Park District will host its annual Prairie Days festival on the weekend of Sept. 29 and 30 at Shawnee Prairie Preserve at 4267 State Route 502 West near Greenville. GREENVILLE – Prairie Days, Darke County Parks’ largest event of the year, can’t happen without the generous support of the community. Hundreds of volunteers give their time and resources throughout the year, and Prairie Days is no exception. 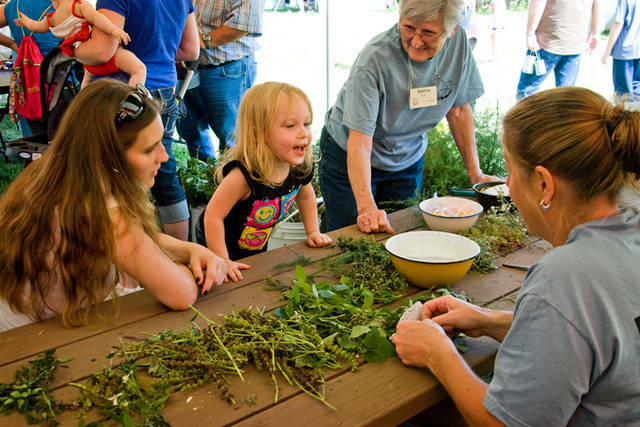 On the weekend of Sept. 29 and 30, the Darke County Park District will host its annual Prairie Days festival at Shawnee Prairie Preserve at 4267 State Route 502 West near Greenville. The park staff is still in need of help to make this festival run smoothly. 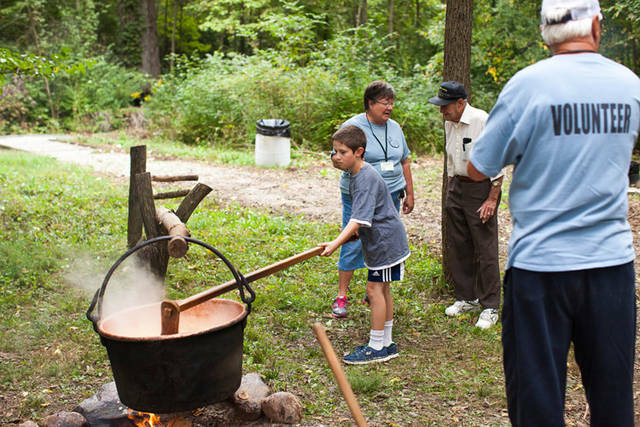 As in the past, the festival will include children’s crafts, horse and wagon rides, apple butter cooking demonstration, food and craft vendors, historical interpreters, a farm animal petting zoo and many other free, fun and family friendly activities. Darke County Parks is looking for individuals or groups who would like to help with parking festival attendees. The children’s craft tent has many opportunities including dipping candles, making rag dolls and more. The horse and wagon ride needs an attendant to help festival goers on and off the wagon, and the sorghum press needs volunteers to help squeeze out the sweet juice. These are just a few of the volunteer opportunities available during this festival event. Anyone who is interested in any of these jobs or need to log some community service hours before graduation should give Karan Hoschouer a call at 937-548-0165 or email her at khoschouer@darkecountyparks.org. For more information about Prairie Days in general, call the Nature Center at 937-548-0165 or visit the website at www.darkecountyparks.org.